I feel like this review should come with a rather large warning - TISSUES NEEDED. Do not, under any circumstances decide to watch this film without a large bar of chocolate and a full pack of tissues at your side. 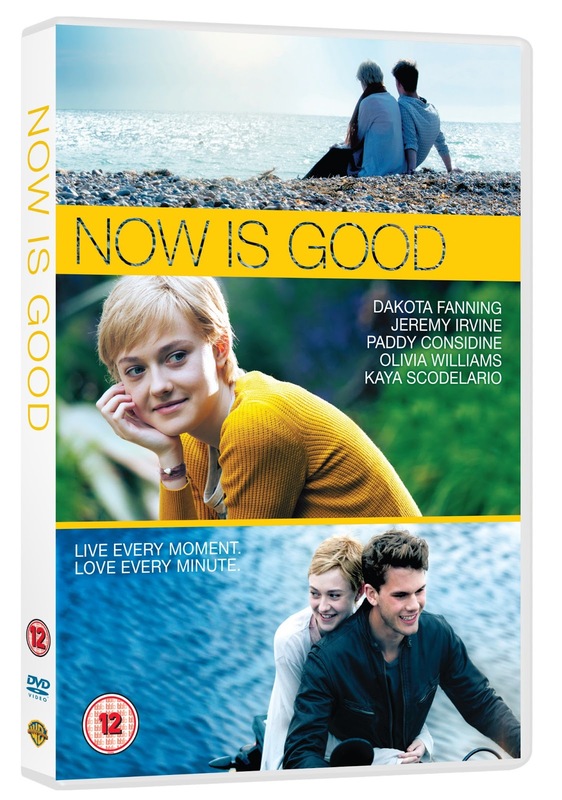 Now is Good is well written and acted and features a great story line about a young girl's battle with cancer and her coping methods. Dakota Fanning plays the teenage Tessa who is faced with a terminal disease, and rather then curling up crying like her family seem to think she should, she decides to fulfil her bucket list as soon as she can, making the most of every experience. I love Tessa's positivity and strength and finished the film with a great desire to make the most of every single day as things can change in a heartbeat. I also finished the film with long lines of mascara running down my face! Tessa's parents are really fascinating characters and both deal with the cancer in very different ways, as her mother distances herself from the whole idea whilst her father becomes almost too involved in the illness. I don't even want to think about the prospect of losing a child and I think I found the film even more emotional as a mother than I would have done a couple of years ago. Tessa's main aim in the film is to find real love and Adam, played by Jeremy Irvine is a great character, giving her support, experiences and the love she craves, however it is the story of her best friend and the impending baby that really tore at my heart strings. I won't give too much away but as I may have mentioned earlier -tissues are definitely needed! I really enjoyed the film and was impressed with the cast and story. I will be waiting until after any pregnancy hormones have completely disappeared to risk watching it again though! Disclaimer: I was sent this DVD to review from Warner Bros. but all thoughts and opinions are my own. Labels: dvd, review, Warner Bros.